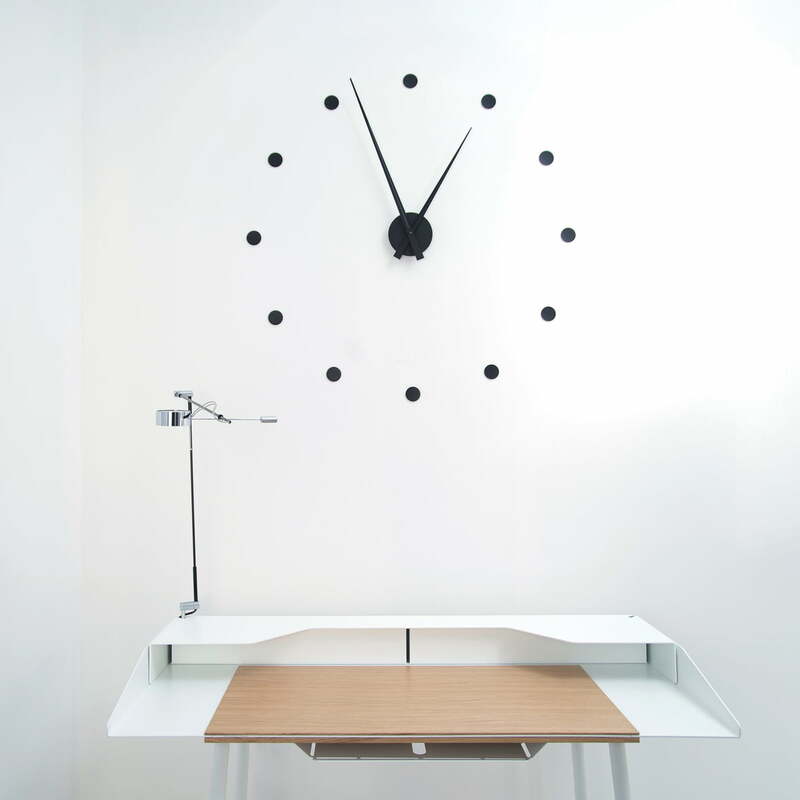 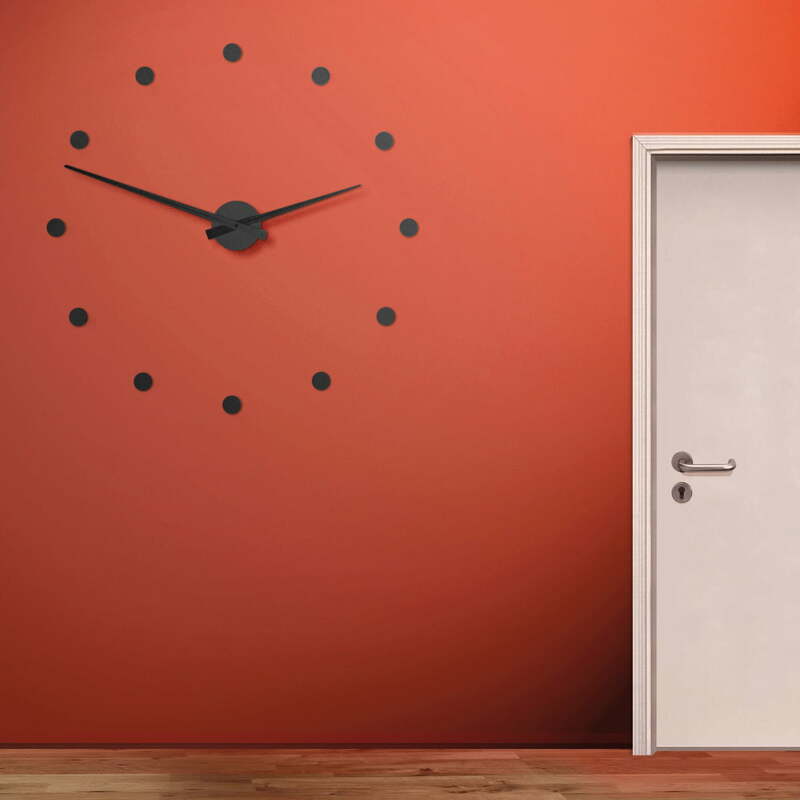 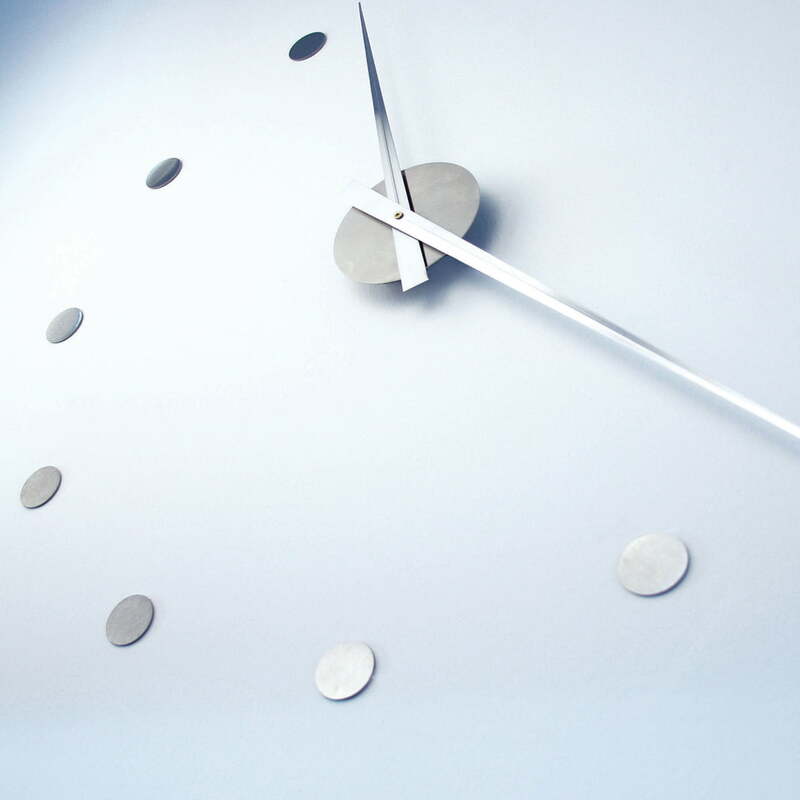 The Radius clock is an innovative wall clock that can be installed as needed. Flexible - as the name of the watch - the relevant points can be fitted to the wall with an appropriate distance. 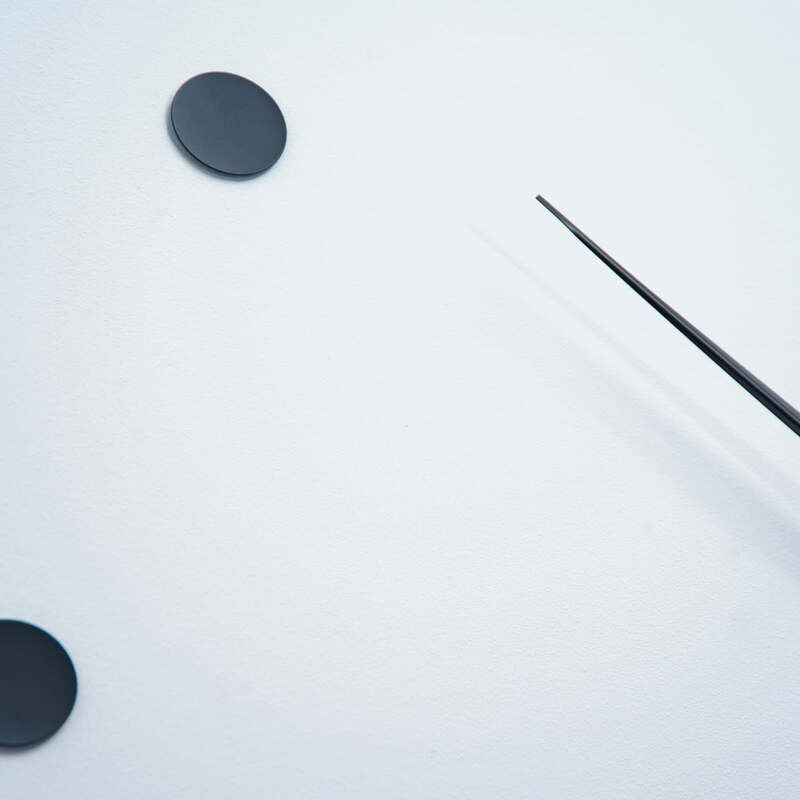 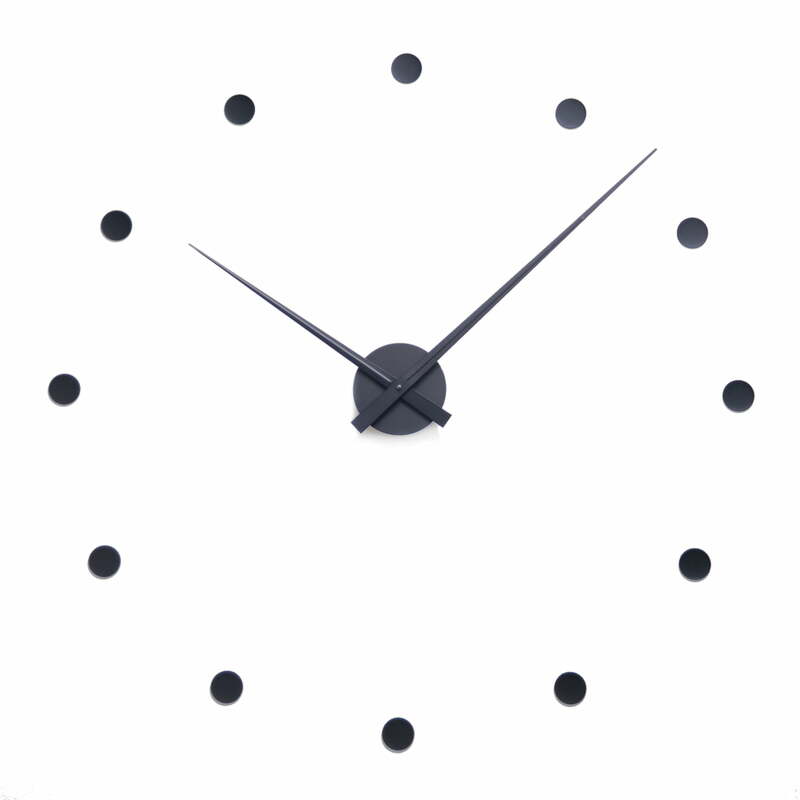 Only the length of the pointers (46 / 40 cm) needs to be taken into account, everything else is up to you, so that the size of the clock varies individually depending on the range of the dots. 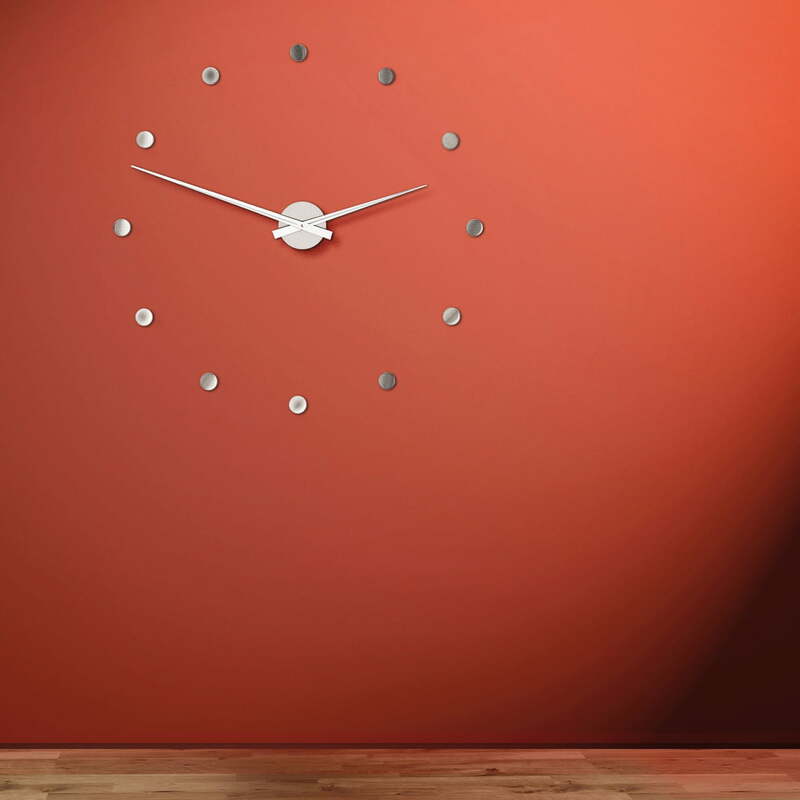 The flexible and modern design of Radius wall clock is based on the original idea and the high-quality workmanship has been awarded with the renowned red dot design and good design award. 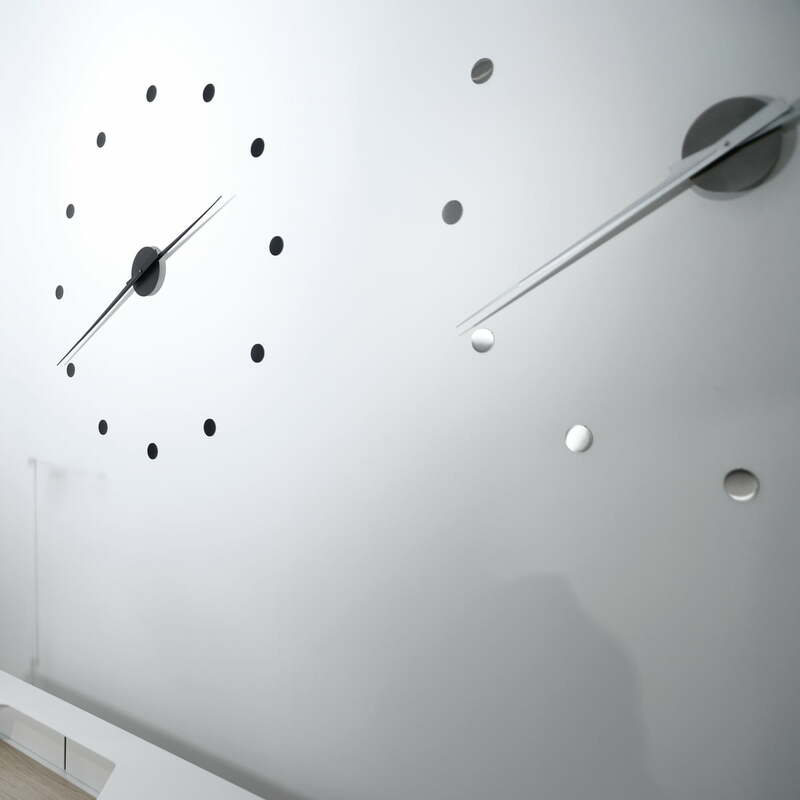 Individual product image of the Flexible Wall Clock by Radius Design. 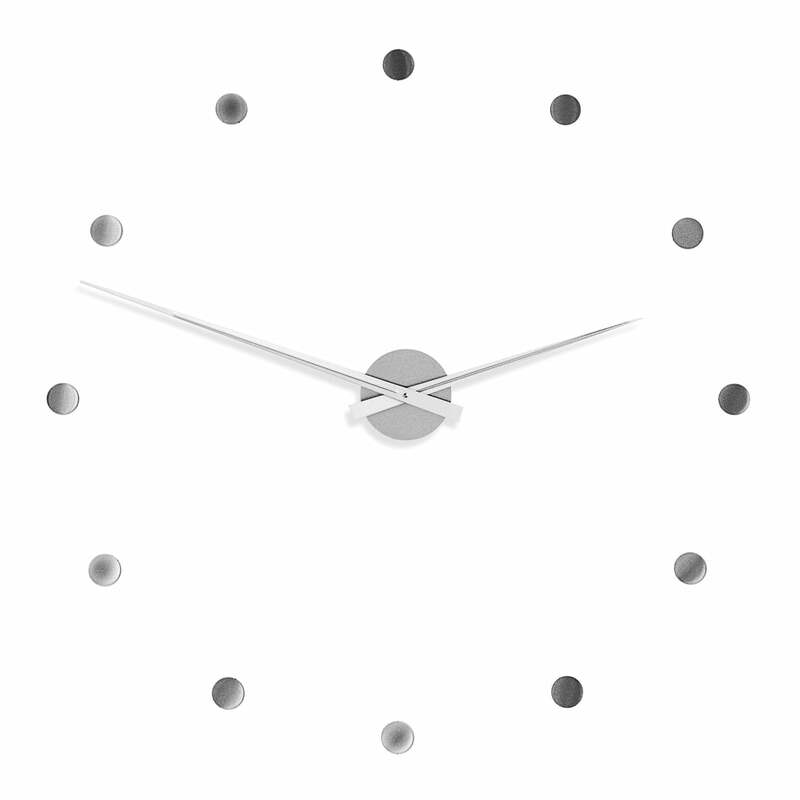 The clock comes with 12 time scale points that can also be reduced to 6 or 4 and with conventional clock hands.